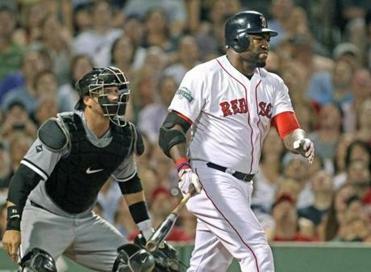 David Ortiz walked gingerly back to the dugout after injuring his Achilles’ tendon Monday against the White Sox. Red Sox designated hitter David Ortiz does not have a tear or rupture in his Achilles’ tendon and will take some time off, but will not be placed on the disabled list. Wearing a walking boot around the clubhouse after getting a treatment on his injured Achilles’ tendon Monday night and undergoing an MRI Tuesday, Ortiz guessed that he’d be out for about a week. The plan is to get a second opinion in Miami Wednesday and decide whether he will need to go on the disabled list. He was injured when he stepped on second base on Adrian Gonzalez’s home run in the eighth inning of the Red Sox’ 5-1 win over the White Sox. Ortiz said the Red Sox were “cursed” after his injury, and the early prognosis is that he may have to sit out a few days. Because he didn’t feel it pop, “which was the first thing that I thought last night,” he said, Ortiz never feared that his season was over. But being bitten by an injury on the day Carl Crawford returned to the lineup and not even a week after Jacoby Ellsbury returned, was emblematic of the Red Sox’ bad luck with injuries this season. Earlier Tuesday, Red Sox management discussed the possibility of a trip to the disabled list for Ortiz. 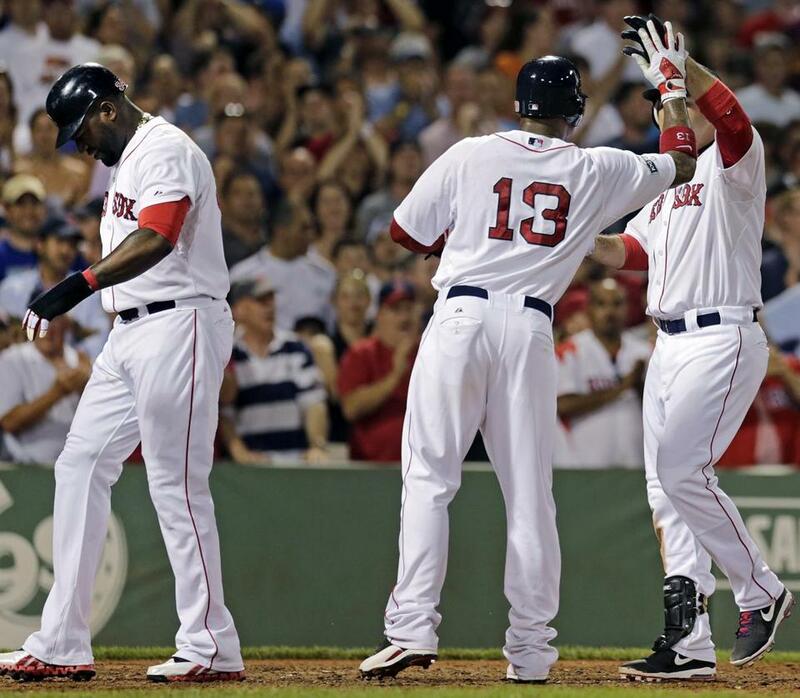 But the Red Sox waited until Ortiz arrived at Fenway Park to go over the options. Daniel Nava replaced Ortiz in the lineup on Tuesday. ”The MRI has shown that there’s not a tear, he’s sore, and he’s going to get another opinion,’’ confirmed Sox manager Bobby Valentine. Michael Vega of the Globe Staff contributed to this report.